Ben Robinson|GoBuccs.com Covington’s Morgan Lowe gets off a shot Thursday night. 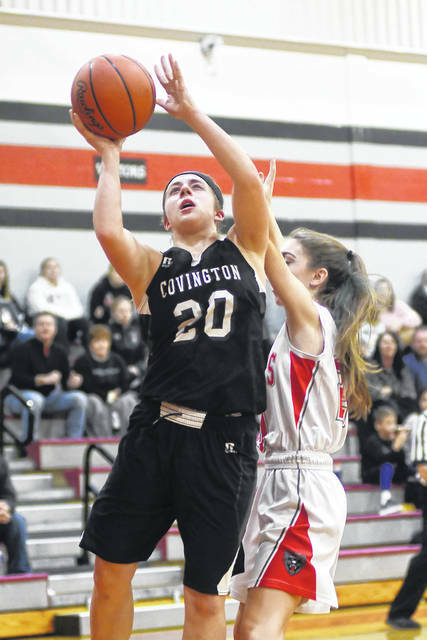 Ben Robinson|GoBuccs.com Covington’s Morgan Kimmel goes up for two points against Tri-County North Thursday night. 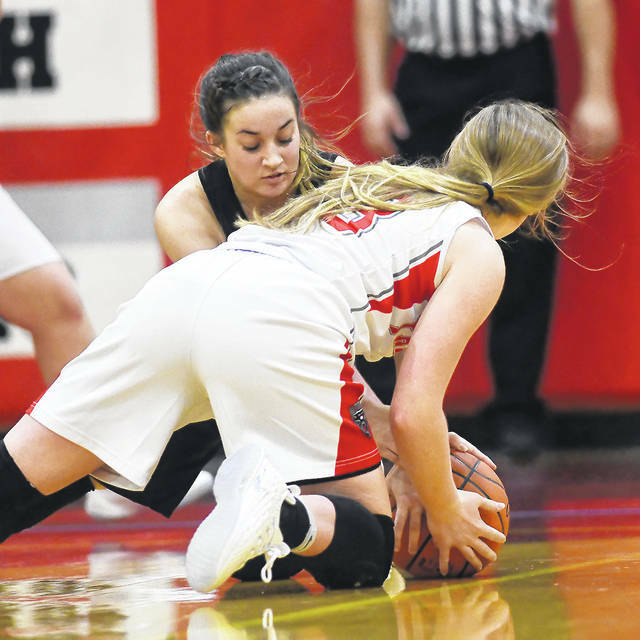 Ben Robinson|GoBuccs.com Covington’s Makenzee Maschino battles for a loose ball Thursday night. LEWISBURG — What do you do when your leading scorer is on the bench just minutes into the game in foul trouble? What do you do when shot after shot bounces off the rim from point blank range, negating sure point near the rim? The answer — play defense. Covington didn’t exactly light it up in the second half either, but had enough offensive success to make for a lopsided score. 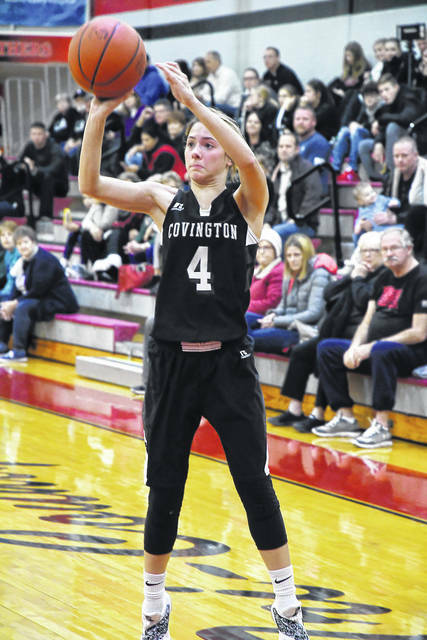 In the end, it wasn’t the type of performance Meyer will use as a teaching tool for playing Lady Bucc basketball. But it was a performance where the defense was the reason Covington came away with a 3-0 record. https://www.dailycall.com/wp-content/uploads/sites/30/2018/11/web1_morgan-lowe.jpgBen Robinson|GoBuccs.com Covington’s Morgan Lowe gets off a shot Thursday night. https://www.dailycall.com/wp-content/uploads/sites/30/2018/11/web1_morgan-kimmel-1.jpgBen Robinson|GoBuccs.com Covington’s Morgan Kimmel goes up for two points against Tri-County North Thursday night. https://www.dailycall.com/wp-content/uploads/sites/30/2018/11/web1_makenzee-maschino.jpgBen Robinson|GoBuccs.com Covington’s Makenzee Maschino battles for a loose ball Thursday night.